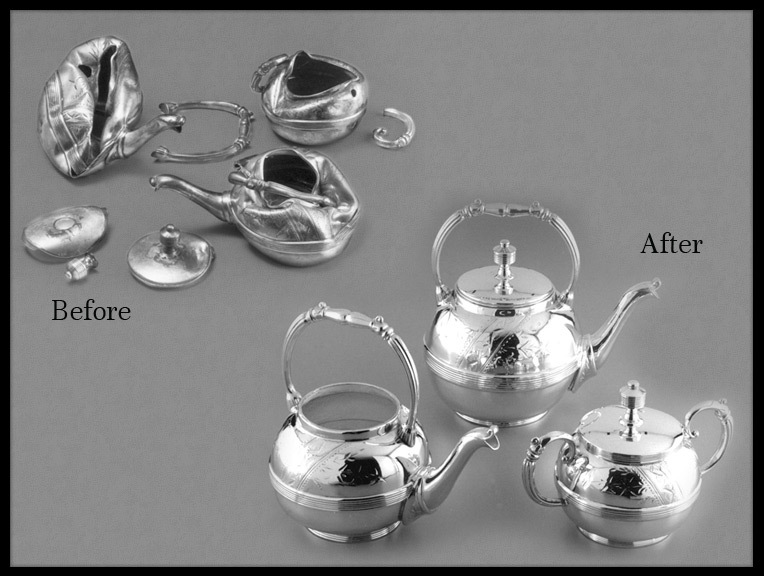 While silver candelabra, tea sets and collectables are beautiful they are also delicate and can easily be dented, bent or broken. 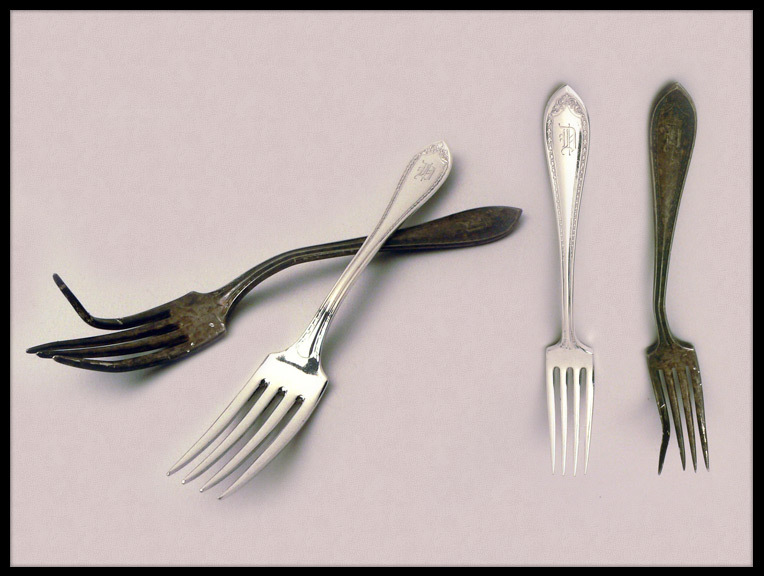 The actual silver metal on a sterling candlestick, for example, is paper thin and that thin shell is filled with a hard resin which can crack, allowing the delicate silver shell to wrinkle, dent or tear away. 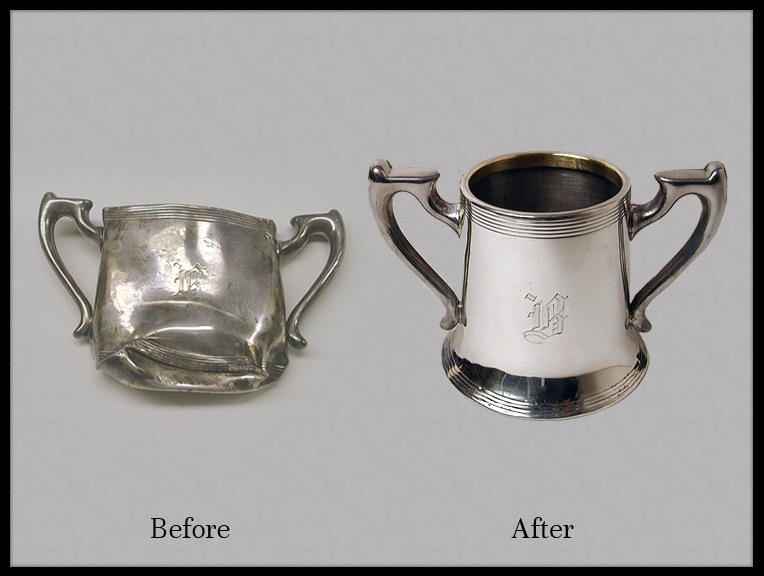 Repairing these and other silver items is a painstaking, meticulous craft. 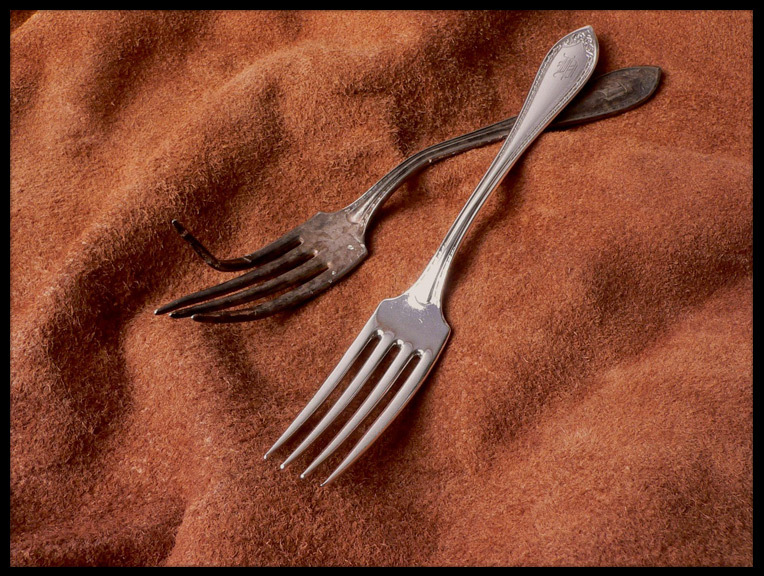 A poor repair can ruin the value of a piece. 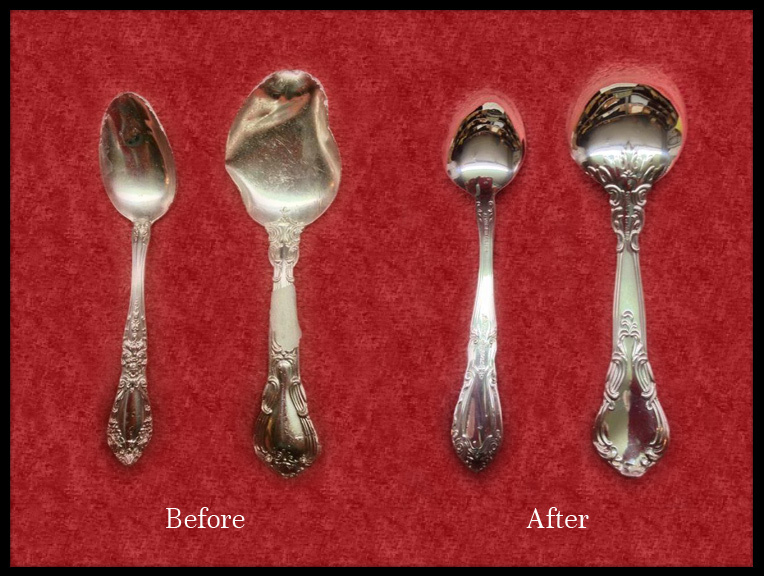 We have a long tradition of repairing and reshaping sterling and silverplated valuables and often the repair is barely noticeable or invisible. 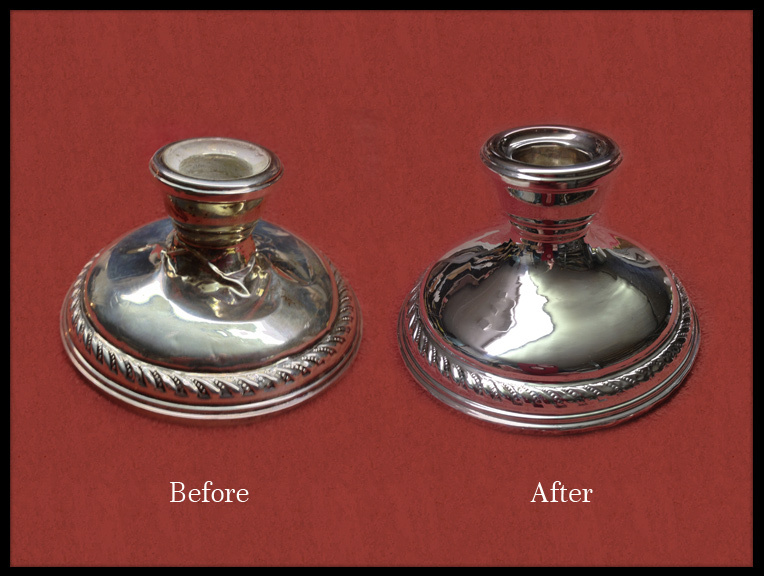 Soldering and dent repair is also done on copper, brass, bronze and other metals.